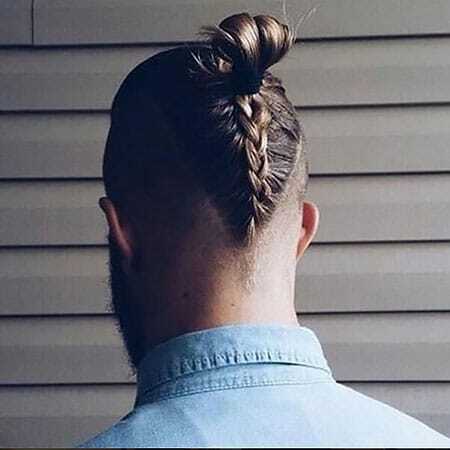 Following in the footsteps of the man bun, the man braid has taken over as the coolest new hairstyle for men. The edgy and versatile look is perfect for creating an appearance that’s both on-trend and out of the ordinary. 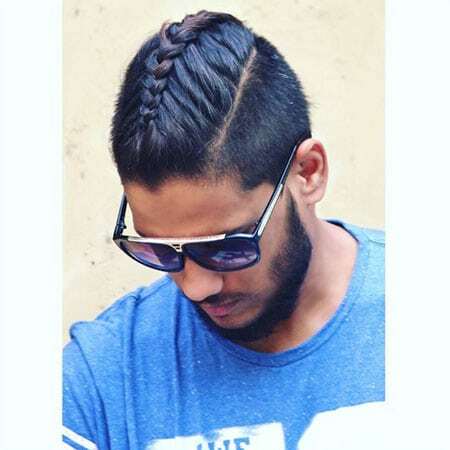 From bold and brave designs to small and subtle styles, man braids have an option to suit every gent. 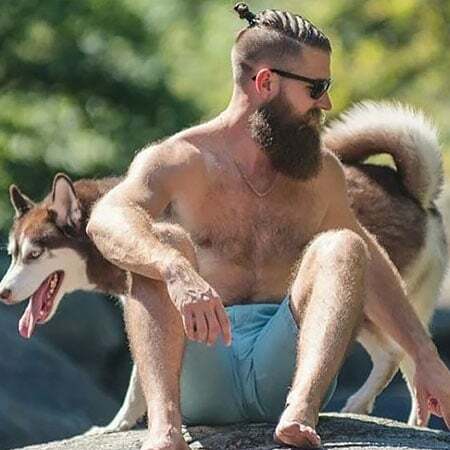 So, no matter if you consider yourself a hipster, tough guy or merely a modern man, you can rock braids whenever you’re ready. 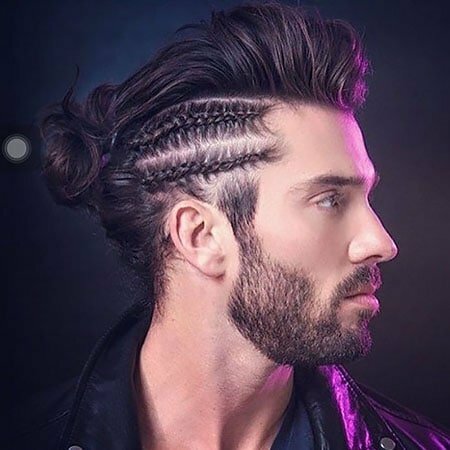 Just click through to find the coolest man braid hairstyles that are sure to inspire you to try this trend. 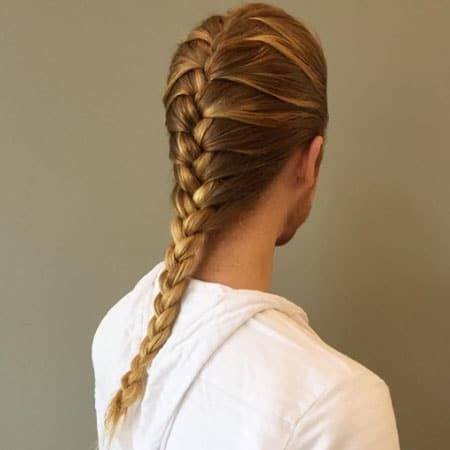 A Viking inspired braid is the perfect hairstyle for turning long locks tough. 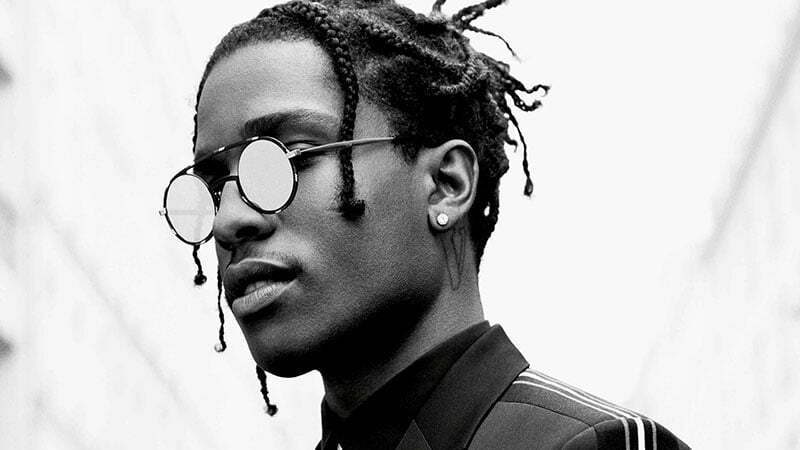 Having fine hair is no reason to miss out on trying the man braid trend. 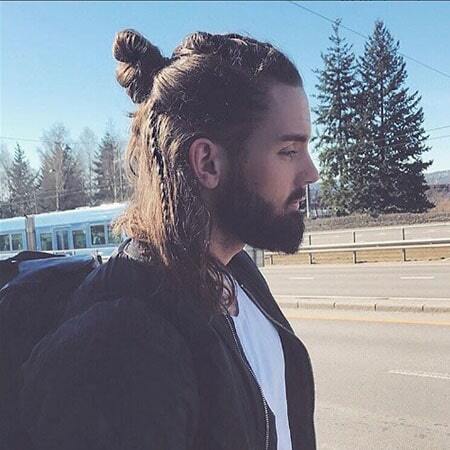 Partnering a man braid with a beard creates a strong appearance with a cool, hipster vibe. 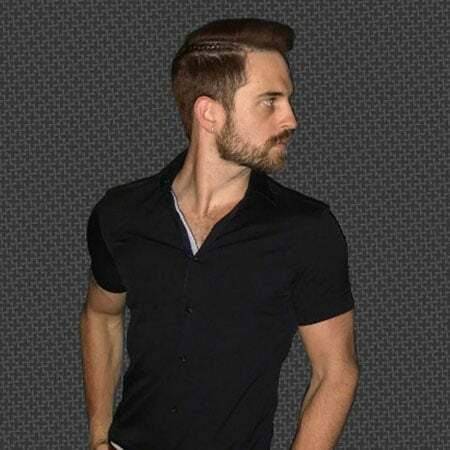 While you will need at least a little length on top to create a man braid, the look can work with shorter cuts. 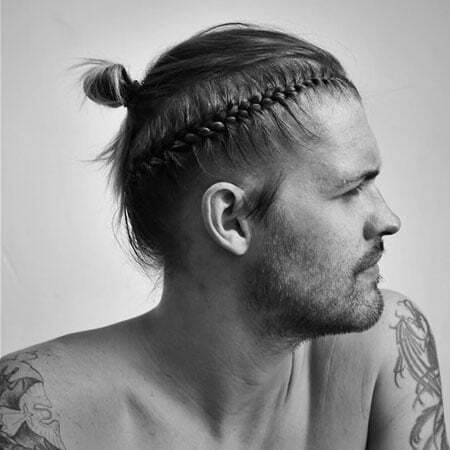 This unique style features a half man bun with a top braid and smaller plait on the side. 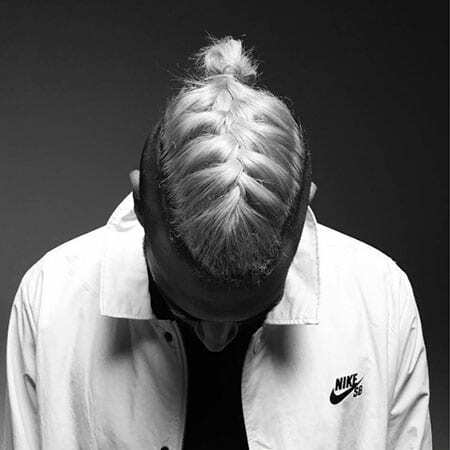 Even a low undercut can be worked into a braided look by weaving together a wider section of hair. 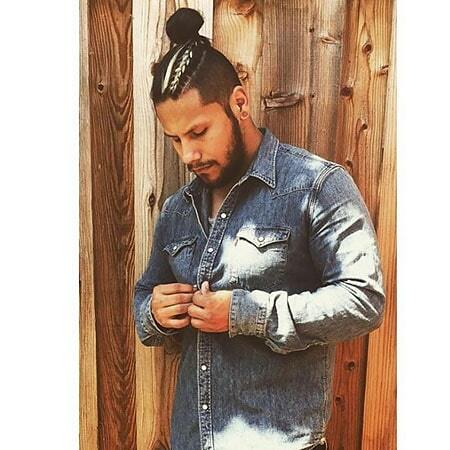 Three braids combined with a bun creates a neat look that’s full of impact. A simple side part braid is a quick and easy way to update your style without changing your overall look. 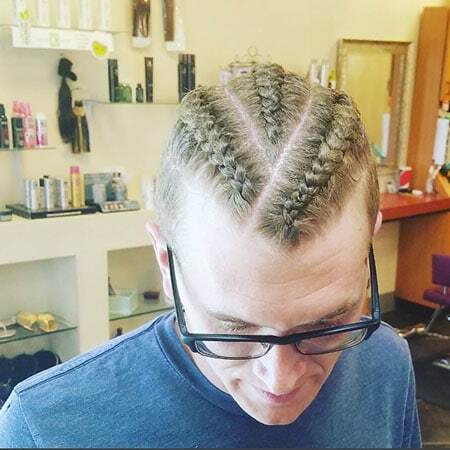 Instead of creating a braid that runs from the front to the back of your head, why not try braiding a small section running across? 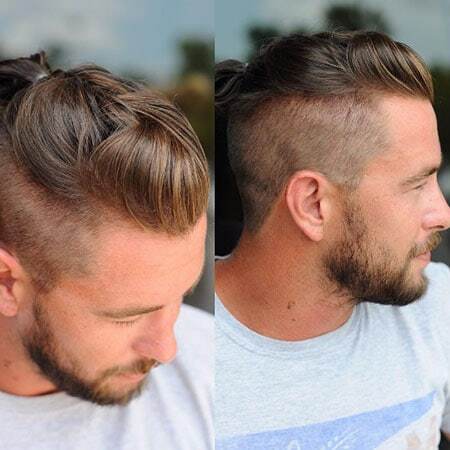 A reverse man braid with a bun is a great way to keep your look polished at the front and fashion-forward at the back. 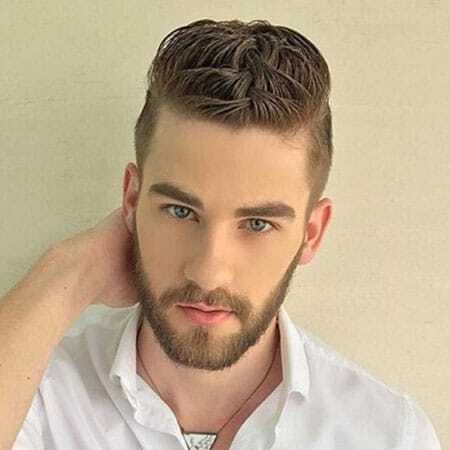 Instead of slicking back the sides of your pompadour style, try braiding them for a similar yet slightly edgier appearance. 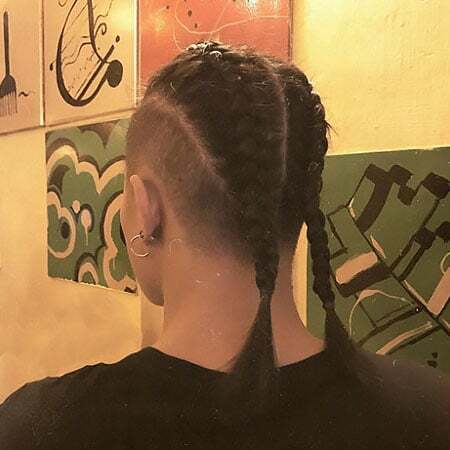 Thanks to their rich history, braids can be used to create a cool, warrior look. 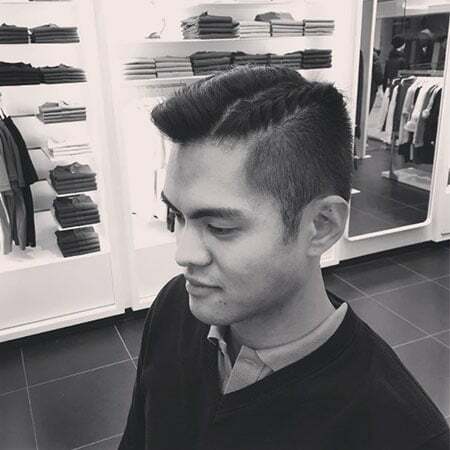 When a single, straight braid feels too generic, try opting for an off-centre style instead. 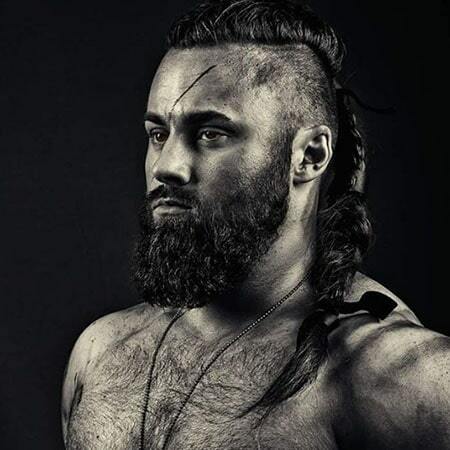 One of the great things about man braids is their versatility and ability to be transformed into many modern styles. 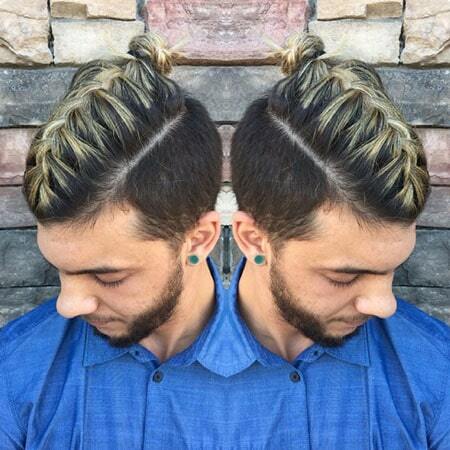 While sharp braids appear edgy and bold, a messy man braid looks laid-back and casual. 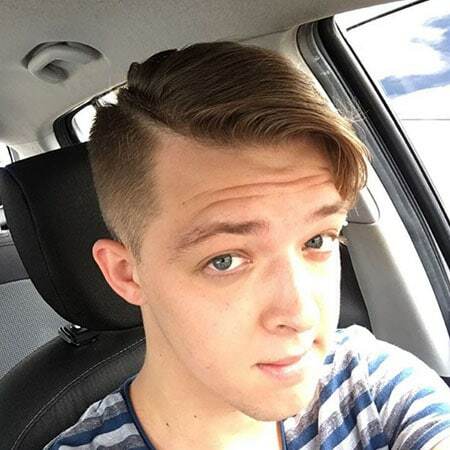 This tiny braid provides the perfect line of distinction between the long hair on top and the short, shaved sides. 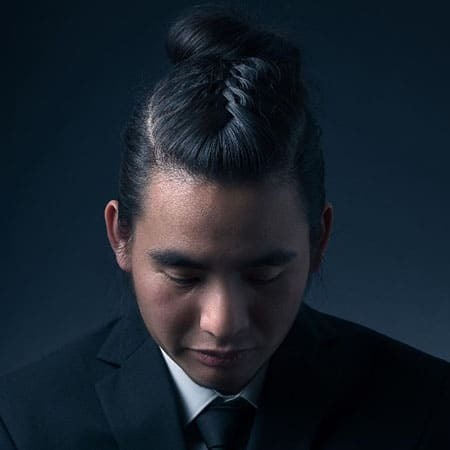 Try taming a long mane with man braids and a top knot for special events and functions. 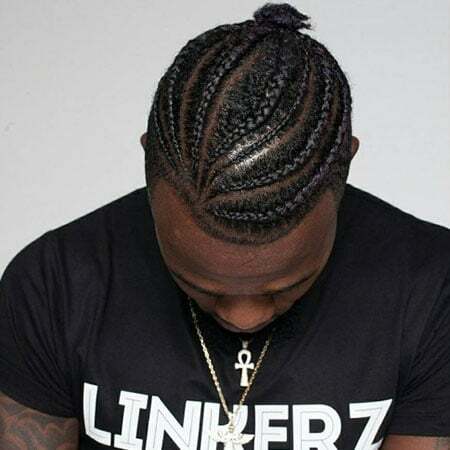 Gents who prefer a subtle look will appreciate the understated style of these double side braids that gather into a bun. While medium length hair can sometimes seem a little uninspired, the addition of a braid will inject the length with a fashionable edge. 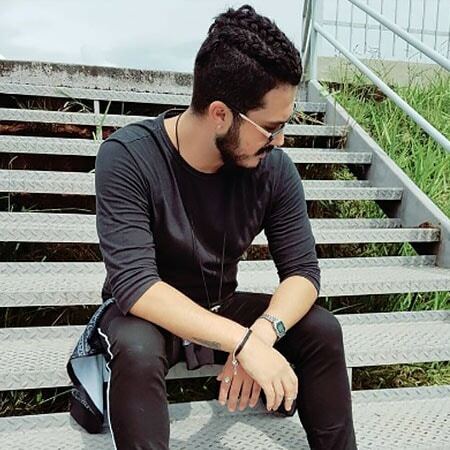 A man braid with mini bun has an athletic appeal that makes the style look just as in place in the boxing ring as it does roaming the city streets. 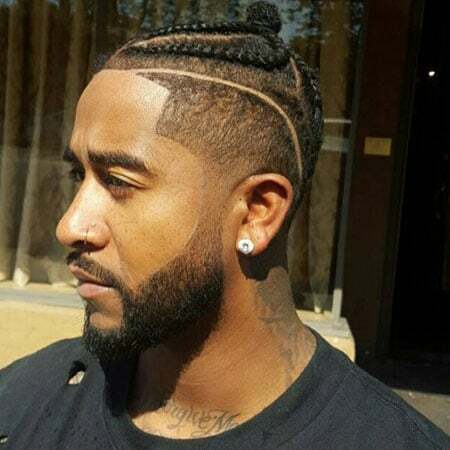 Cool, contemporary and eye-catching, a man braid with a fade is the perfect hairstyle for the sophisticated and style-savvy gent. 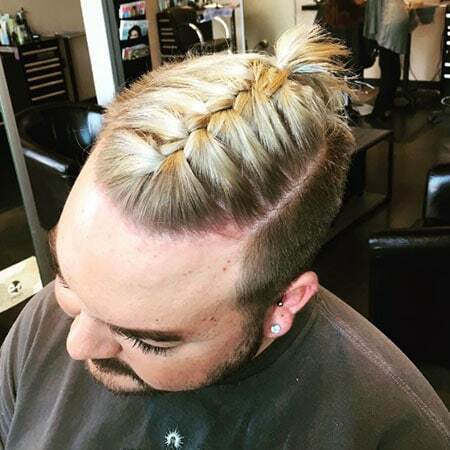 Thick, chunky man braids have a contemporary and on-trend appearance. 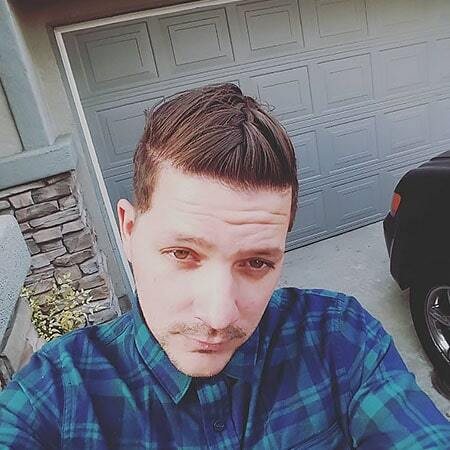 Not only is a man braid ponytail on-trend, but it’s also easily achieved at home with just a little bit of practice. 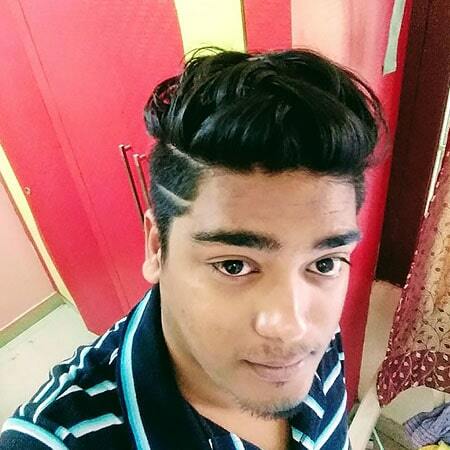 The disconnected undercut is the perfect haircut for rocking a man braid. 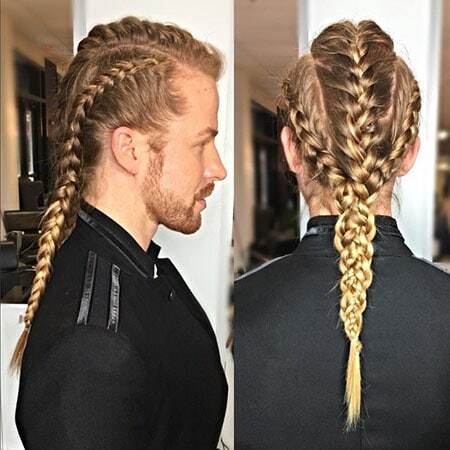 Grown out colour can make a man braid appear even more unique and stylish. 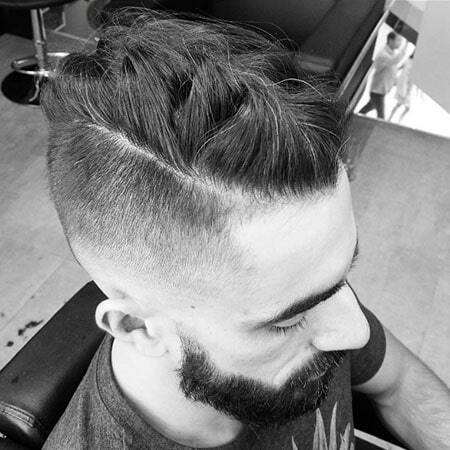 Weave your pompadour into a loose braid to give this classic style a new edge. 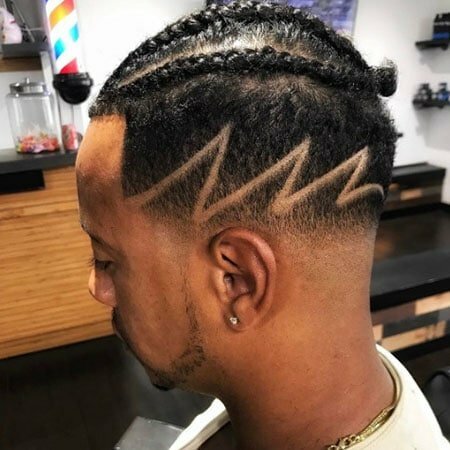 If a simple braid isn’t quite as bold as you would like, try adding a streak of contrasting colour to turn up the impact. 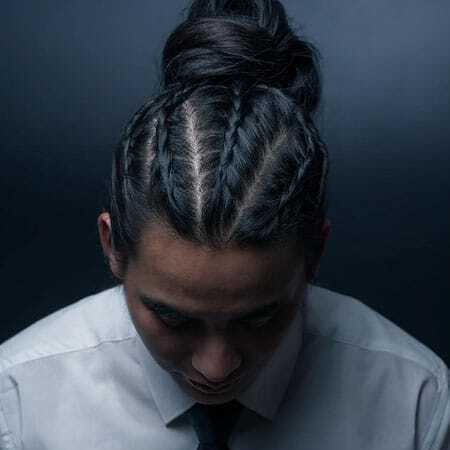 This braided hairstyle, which features a low bun, is kept masculine and modern thanks to its messy and haphazard appearance. 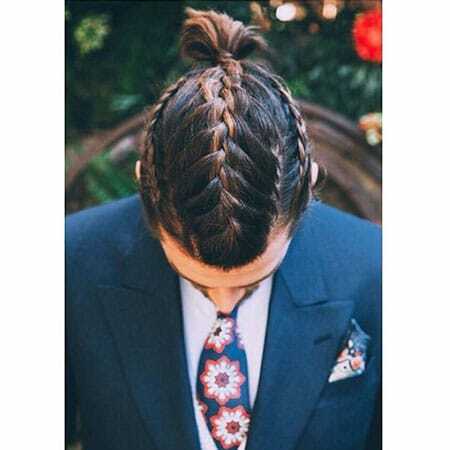 If you’re new to the man braid trend, try adding a small braid along your part line for a subtle yet fashionable look. 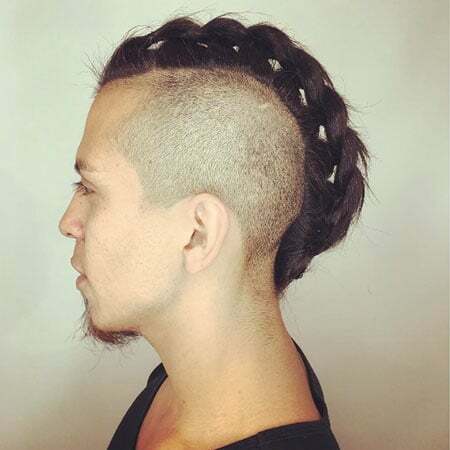 By pairing statement braids with short sides, you can create a balanced look that appears edgy but not over the top. 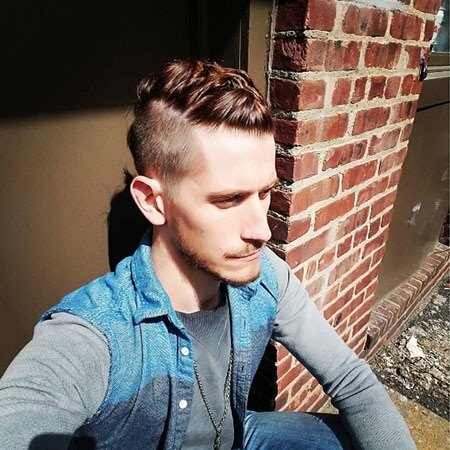 Whether you’re rocking a mohawk or a faux-hawk, a braid can be a stylish and statement-making addition. 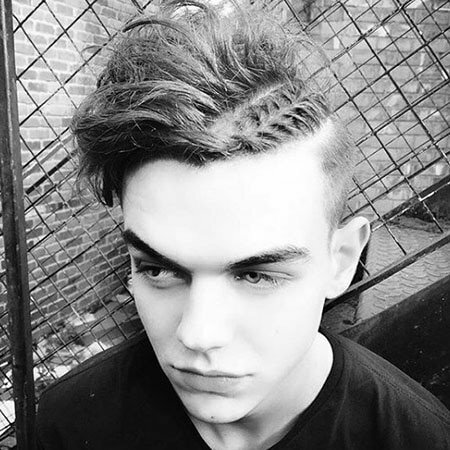 Side braids needn’t be intricate or complicated to create a standout style. 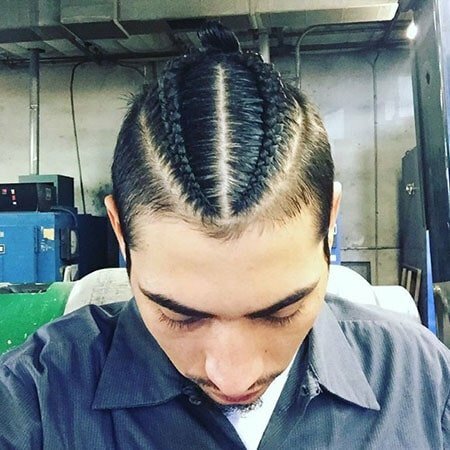 If you really want to get noticed, try combining braids with a unique, shaved design. 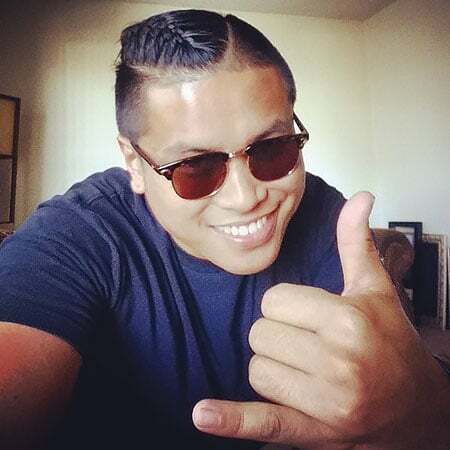 Create an edgy style by braiding part of your hair and allowing the rest to remain wild with natural waves. Thick hair is ideal for creating a voluminous and eye-catching braid. 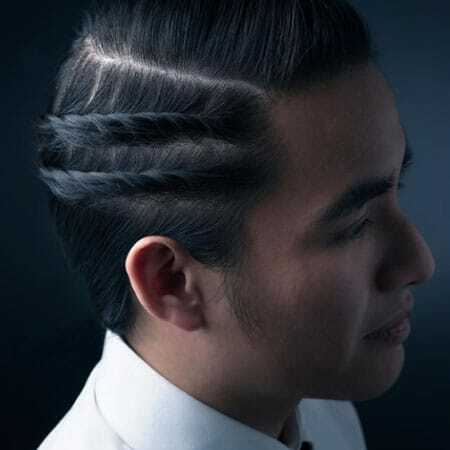 This cool hairstyle features a thick man braid and an undercut paired with a smaller part braid. 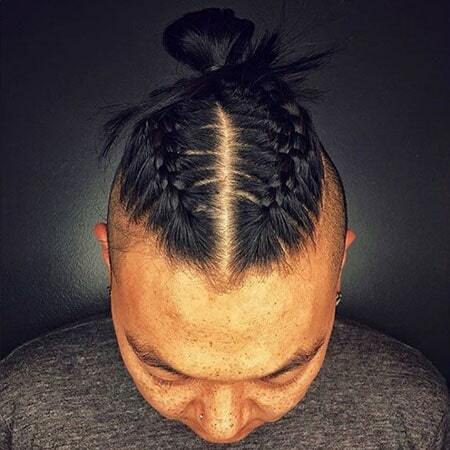 This symmetrical braid design for men is graphic and undeniably impressive. If your strands are too short for a proper braid, try faking it by using some product to hold woven locks in place. 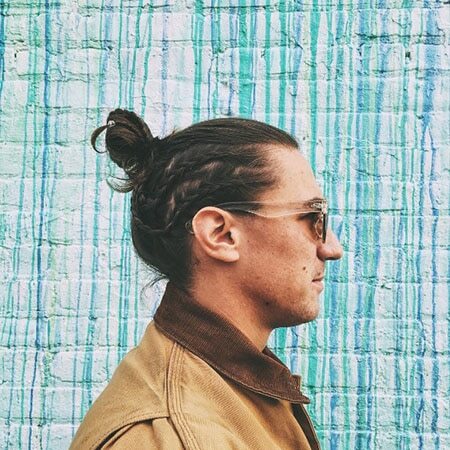 If you have hair that’s long on top with short sides, consider adding a braid for a fashion-forward style update. 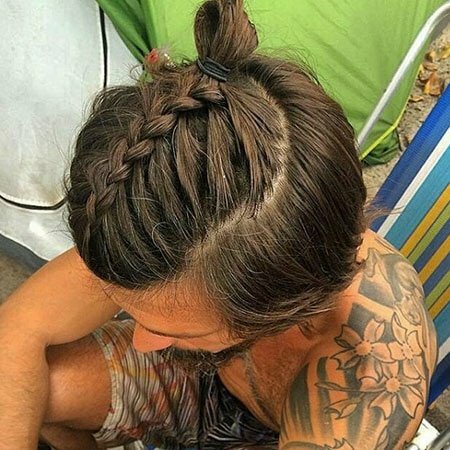 Adding a single braid is the perfect way to update your man bun and infuse it with a 2017 sense of style. 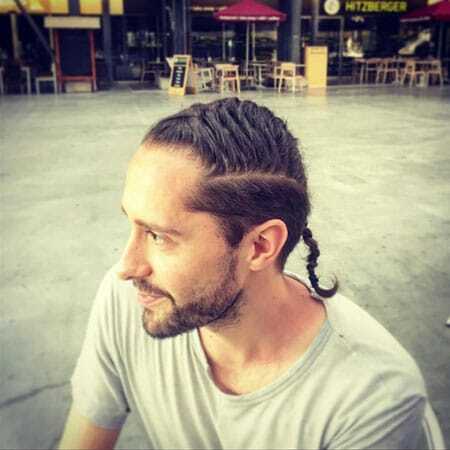 Not all man braids have to be tight like cornrows. 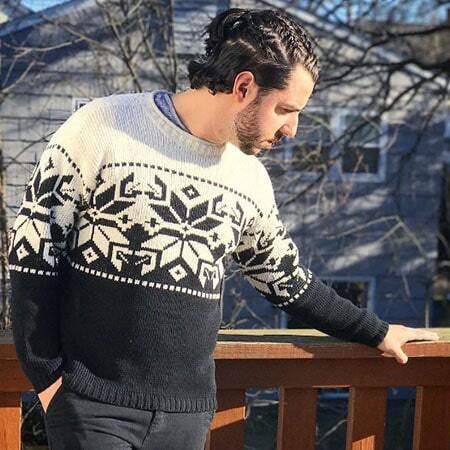 A simple French braid is a stylish option for gents with long locks. 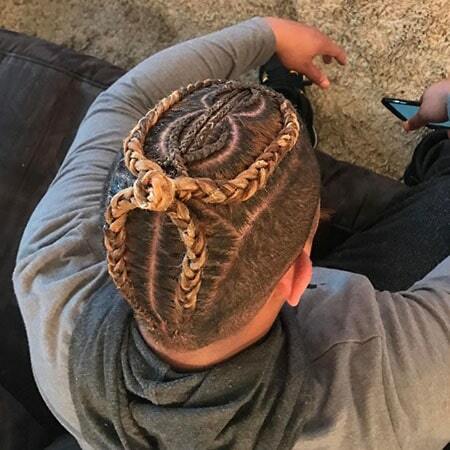 In the right hands, your braids can become a detailed work of art. 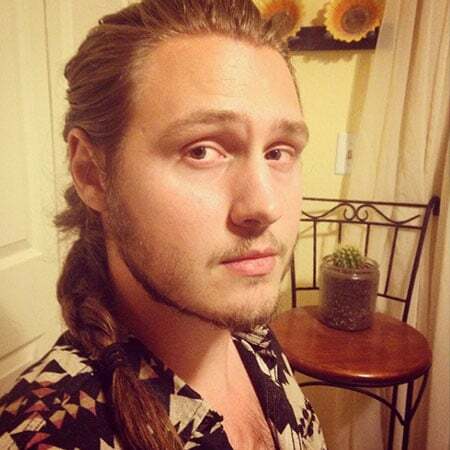 If you feel as if you’ve conquered the single man braid style, why not double up and go for two? 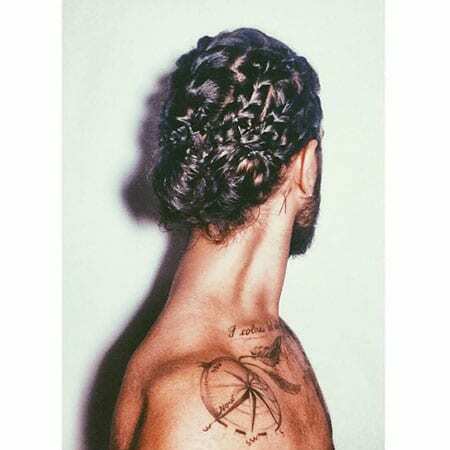 While two braids and a bun may seem like a simple combination, the final appearance is complex and edgy. 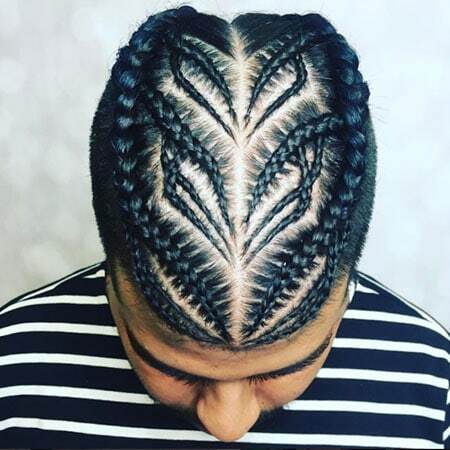 Traditional cornrow braids are a hairstyle that just won’t quit. Split double braids with an intense middle part before joining them into a single bun for a fierce hairstyle. Give medium length hair a stylish update with a braided half pony. 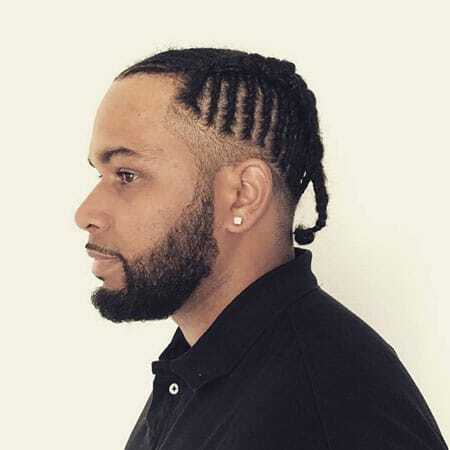 A simple way to update classic cornrows is to add some curves and end with a man bun.